Dirk Möller and Karsten Johne found “Southern Division” in Maillingerstr.12 in Munich. The Backyard Garage “Southern Division” is dealing with English Motorcycles and spareparts. “Triumph”,”BSA”,”Norton”,”AJS”,”Matchless and so on. Burkhard Pflug moves from the Netherlands to Munich. In the Netherlands he managed his Art Galery “AHA Galerie” for years. In Maastricht NL he shared the “AHA Studio Ateliers” with other painters and sculptors.There already fallen in love with beautyful motorcycles and classic wooden boats, it was only a little step to”Southern Division” in Munich. Burkhard builds his Triumph Thunderbird up with the help of Dirk and Karsten. With finacial and energetic help from Dirk, Karsten and friends Burkhard opens the “Gasoline Alley” the shop for adventureres and enthusiasts for the genuine classic handcrafted clothes and accessories. Well known brands as “Aero Leather”, “Davida”; “W&W”, “Zodiac”, “CCI” and “Red Wing” are part of the program. 35 mm shooting of a cinema spot “Gasoline Alley”. With the help of “Gasoline Alley”, “Southern Division” moves from Maillingerstr.12 into a old factory building, Blutenburgstr.75, in Munich. Dirk and Irmgard Kronester establish the “Rocker Box” a workshop in the first floor of the same building. 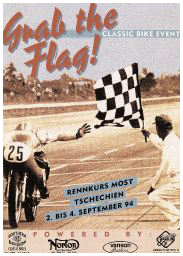 The cradle of the racing event company “Grab the Flag”, sponsored by “Gasoline Alley”. 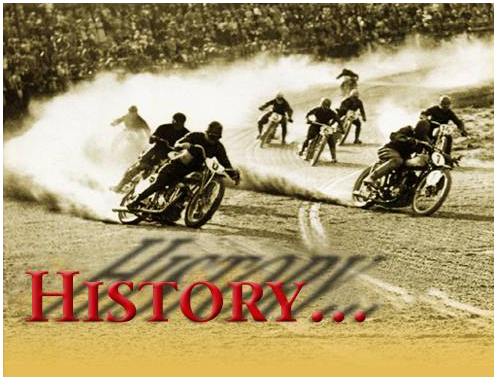 Begin of classic motorcycle racing events. Racetracks like Hungaro Ring, Most, Posen,Rijeka, Dijon and Panonia Ring become firm venues. Caused by everlasting spezialised inquiries of customers , a range of goods arises in the world of planes, boats cars and motorcycles and brings gentlemens dreams into real. First “Bates Leathers” dealer in Germany. Rare collectors items of the aviation-, maritim-, and motorunivers become a component of the store supply. Companies as “Authentic models”,”Euro Marine”, “Belstaff”, “Driza-Bone”, “Zippo”, “Viktorinox”, “Kochmann” and more is rounding up the offer. “Southern Division” moves into Tegernseer Landstr. 22 in Munich. Karsten Johne is still in charge. “Rocker Box” and “Grab the Flag” is in the hands of Irmgard Kronester. “Gasoline Alley” is still in the same place beloved and carfully looked after by Burkhard Pflug. In all these years “Gasoline Alley” was the sponsor of Burkhards atelier and the spender for his sculptures and paintings. Classic wooden boats are still his passion. The restauration of another classic wooden raceboat is in an alter stadium. After renovation “Gasoline Alley” apeares in new old glow. A new website and the internet shop enlarge the sphere of activi in this lifestyle shop. For every gentleman with passions “Gasoline Alley” always is and was a must.